So a few years ago, I bought a set of Ryobi tools off Kijiji for $30 or so. It was a great deal, but I knew the batteries were pretty much dead, but I could deal with that. A few charges later, the batteries were completely dead. Fast forward a year and I finally replaced the old NiCD batteries with new Li-ion ones. When opening the old packs, I realized I should have done this a long time ago. The batteries were corroded and clearly dead. 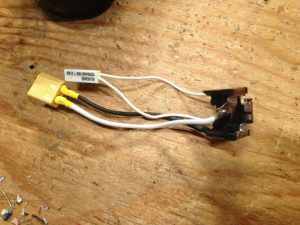 So I ripped them all out and soldered an XT-60 connector to the main power wires in order to accommodate a Li-ion battery. In case anyone is wondering, the other component in that picture is a thermal fuse. Being used to tearing apart lithium-ion battery packs, I was surprised to see that this was the only protection feature on that old NiCad pack. Now comes the hard part – finding the right batteries to replace them with. 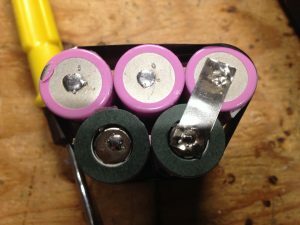 I have seen lots of guides online using old laptop batteries for this that were not even tested – DO NOT do that. Most laptop batteries, even if brand new, were only designed to handle 2A of current draw, which gets lower as they age. That being said, I did use batteries that I got from a laptop battery, but I tested them and they were pretty much new. I used some Samsung 26C cells that are rated at 2600mAh and 5.2A discharge rate. Using my 18650 battery testing station, I verified that they still had around 2550mAh of capacity left, so for all intents and purposes, they are brand new batteries. If you are going to do a similar upgrade, make sure to get new cells to ensure that they can handle the current that the drill will use. 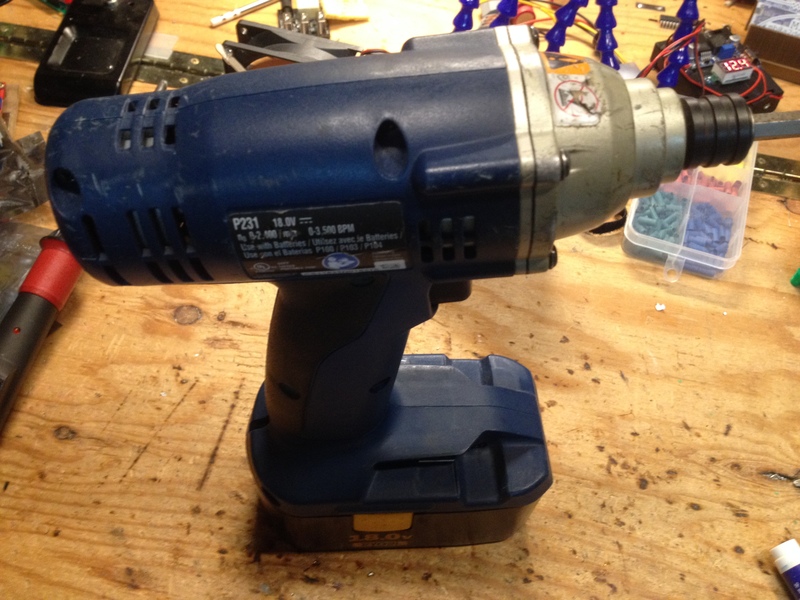 To test the current used by the drill, I used a DC clamp meter and the old lawnmower battery that I fixed here. 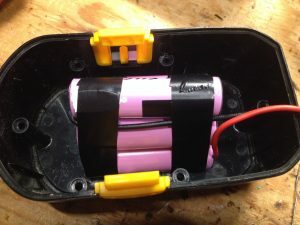 I attached alligator clips to the 10S battery over 5 cells to get roughly 18V, similar to the original NiCD battery. There were spikes of up to around 10A, but continuous was around 4A – be sure to get cells that can handle these rates. I assembled 5 18650 cells in series to make a 5S1P pack. 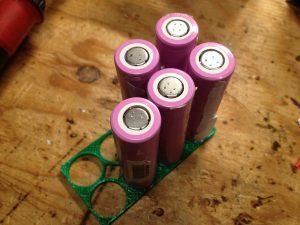 Ideally, I would have gone with 2P, but there was not enough room to fit 10 cells in the old battery case. As for charging the battery, I left all the balance connectors inside the case, and will have to open the battery case to charge it. I don’t expect to be using this every day, so that will not be too much of an inconvenience. 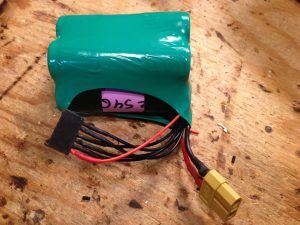 The converted battery weighs almost half as much as the old battery does, and has over twice the capacity that it had even when new. Quite an improvement I’ll say!